Everyone at IMS Group is committed to providing you with the highest quality insurance services combined with the lowest rates available in your area. We work hard to be your agent and then harder to keep you as our customer. Being independent Insurance agents allows us the opportunity to work with many Insurance companies. No two Insurance companies are the same and the more options we can provide to you is always best for everyone. Our outstanding Customer Service Representatives will work with you on a one on one basis to ensure that you get a solution that is tailored specifically to meet your needs. Whether you are shopping for auto insurance, home, health, life, business insurance, bonds or comparing electric & gas rates for your company, our highly experienced team will help you find the lowest rates no matter what your needs are. To speak directly with an experienced insurance professional, simply give us a call anytime or use any of the interactive tools offered throughout this site. 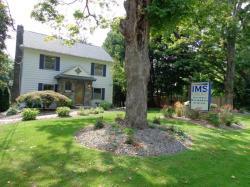 Feel free to contact me at anytime on my cell phone at 315-427-7696 or email me at: eric@imsgroupinsurance.com.